On Sunday, May 6, Brava! 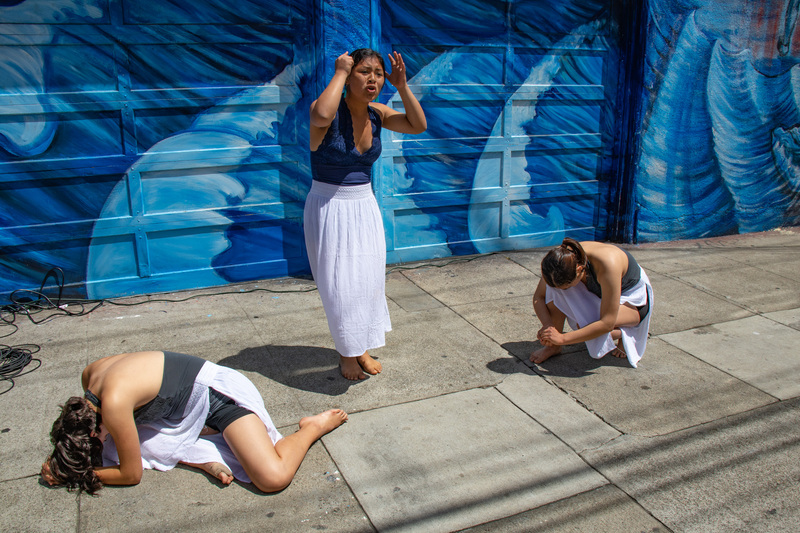 for Women in the Arts and Precita Eyes Muralists presented their sixth annual “Baile en la Calle: The Mural Dances 2018.” On the streets of the block surrounding the Brava Theater Center on 24th Street in San Francisco’s Mission District, various participating dance groups made presentations as small groups of attendees were led around the block by Brava guides. Here are a few pix of the event. Vanessa Sanchez and La Mezcla performing “Take it From the Top: Latin Rock,” by Max Marttila and Fred Alvarado. 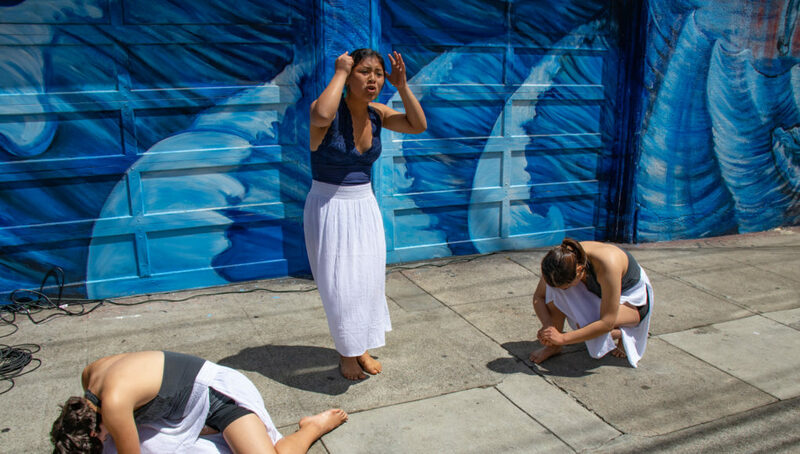 The mural house at 25th and York streets in the Mission hosted Vanessa Sanchez and La Mezcla. Mariachi Juvenil La Misión performs at the mural at 24th and York streets in the Mission. The Duniya Dance & Drum Company perform at 24th and Hampshire streets as part of Baile en la Calle. Previous articleFandango at the Bulb!